Unlock Your ZTE Phone in just few minutes! Choose your ZTE phone by selecting or searching from the drop down list. If you can't find your ZTE model contact us. In recent years ZTE has grown in popularity and have cornered a large section of the Android smartphone market – and it’s easy to see why. ZTE devices boast a plethora of impressive features whilst remaining affordable to all. Some of the most popular ZTE smartphones on the market at the moment include the ZTE Nubia My Prague, the ZTE Maven, the ZTE Axon Elite, the ZTE Nubia Z9 and the ZTE Blade S6 Plus. Many ZTE phones are locked to a particular network provider (such as Vodafone, Verizon or T-Mobile) when shipped. This can be frustrating if you wish to use your phone abroad with a pay and go SIM when travelling or if you simply want to switch providers. Can my ZTE smartphone be unlocked? The good news is that ZTE devices can be unlocked quickly and easily with our simple service. All your need is the IMEI number which is unique to your phone. To find this, simply dial *#06* and the code will be displayed on your ZTE phone screen. If your device has a removable battery, you will also find the IMEI beneath it. Once you provide us with your IMEI, we can then find out the device-specific unlock code for your phone – usually within a few hours. 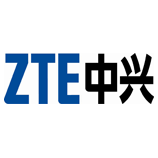 How do I enter my ZTE unlock code? When you receive your code, all you need to do is replace your old SIM with the Sim of your desired carrier. When you power your phone on, you will be prompted to enter a SIM unlock code. Once his has been entered, you will be free to use your phone however you want. Code works like a charm. Thanks again. You guys are awesome! Tried 3 different other providers and you are the only one that got the code!